Margaret Pollock found the tattered blue diary of her late father Laurence after his death in 1989 in amongst newspaper clippings and POW artefacts. The diary details Laurence's time in German, Polish and Italian POW camps during WW2. 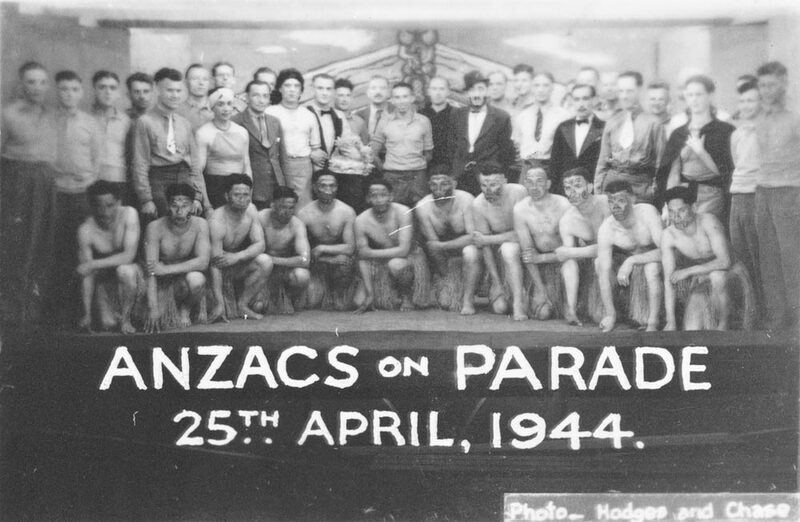 Laurence was serving in the 20th Battalion, 2nd New Zealand Expeditionary Forces in North Africa when he was captured by German forces. He risk his life to record the horrific and harrowing conditions inside the camps. Detailed in the diary is information about the food fed to the POWS and ablutions. 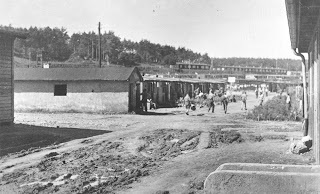 It also includes the torture inflicted on the prisoners, such as being strip searched and made to walk barefoot in snow and ice as well as the punishment for prisoners who deviated from the rules. Margaret plans to entrust the dairy and artefacts to the Hocken Library in Dunedin, so that they can be preserved and accessed by future generations. She hopes that other people will look in their own attics and that of their relatives and see if they also hold valuable accounts of the war. With the number of returned WW2 servicemen greatly reducing each year, it is essential that this information is found and cared for. Auckland Libraries holds in its heritage collections a range of New Zealand POW accounts from both WW1 and WW2. 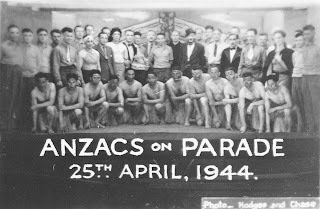 Also within the heritage collections are a wealth of photographs from both wars, including the images featured in this post. 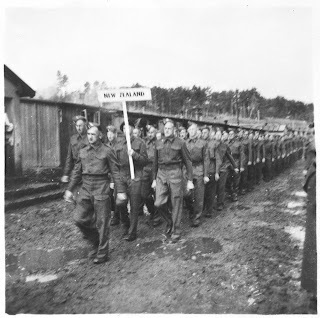 These images come from an album belonging to Angus MacDonald, a POW during WWII at Stalag VIII B (May 1940-September 1942) and Stalag 383 (September 1942-May 1944). Mix & Mash - the competition is on!